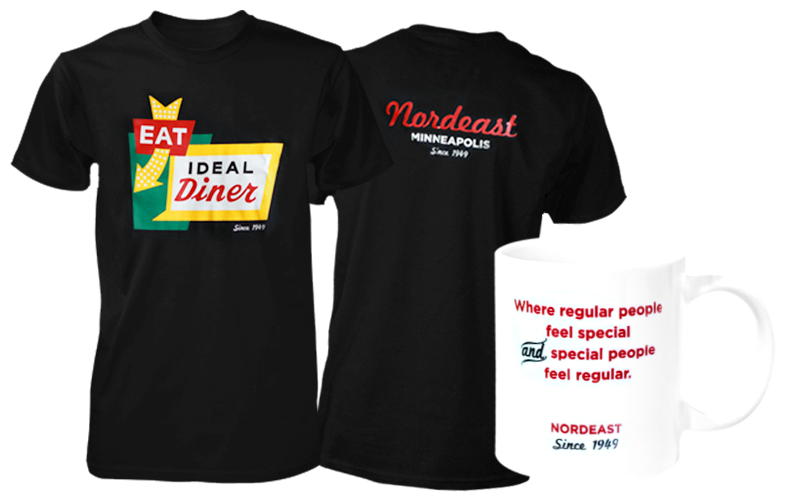 The IDEAL DINER was built in 1949 and has been a landmark in “Nordeast” ever since. The old neon sign shines bright into Central Avenue as it welcomes you and starts your journey down our historic street. It’s located in an area that at one time consisted of mainly industry and working class people all around. It is now serving a community of diversity of all sorts. John Grinnell This is the real deal. Great diner food and great people. Reminds me of the diners my Dad would take me to as a kid. Tommy Flannigan Best diner around. Better food and staff than chain diners. Thanks to the owner Kim for all her hard work. Kirby B. Johnson Lazy, poached, lyonnaise, dark. Wash it down with a gallon of coffee, you're ready for the day. Matt Bona Favorite breakfast spot that I've been coming to for years. Only gotten better in the past few years as Kim took it over. She is a hard worker and a total sweetheart! ©2019 Ideal Diner / SportsEngine. All Rights Reserved.